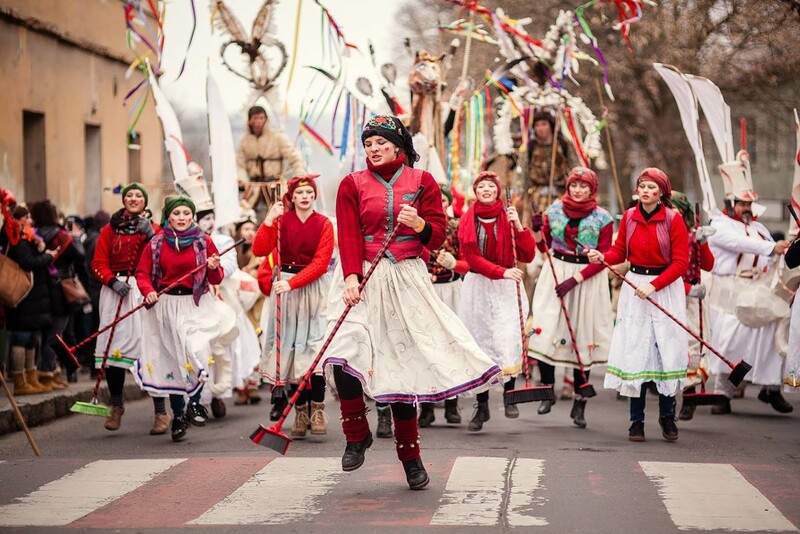 14:30 Parade through Roztoky with stops at the square and uptown toward Únětice. Buses between Roztoky and Únětice: The special Masopust bus express number 359, connecting the two cities, will set forth again. By train from Prague: Lines number S4 and S49 from Masarykovo nádraží / Praha-Holešovice / Nádraží Podbaba are the best choice for your journey from Prague. The central Bohemian Museum is just a short way from the Roztoky u Prahy train station. The other stop Roztoky-Žalov is then close to the circus tent. Find your traffic connection on the Czech search engine. By bus from Prague: Bus number 340 and 350 goes from Dejvická. We don’t recommend it though, it might get crowded. By car: Please don’t travel by car if at all possible. Thank you! Masopust (Mardi Gras) is organized by Sdružení Roztoč, z.s. in a partnership with the town of Roztoky and together with Central Bohemian Museum Roztoky u Prahy, the village of Únětice a Prague-Suchdol. Town of Roztoky, Václav Havel Airport Prague, Central Bohemian Region, Prague Catering, Bláha, s.r.o., Eaton Corporation, K2M reklama, Brewery of Únětice, KD Mlejn, o.p.s., Andrew Kim & Thingumajig Theatre and many more.